Come enjoy a naturalist-guided kayak tour in Naples, Marco Island and the 10,000 Islands. We'll explore beautiful mangrove tunnels and float over thriving mud flats. Bring your curiosity and sense of wonder while your kayak tour guides educate you on the nature and history of Naples and Marco Island. 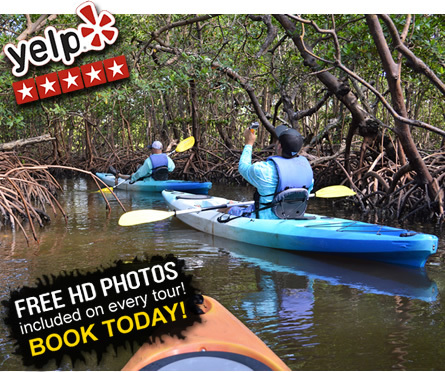 During your kayak tour we'll be taking free HD photos and you'll receive them the same day! Book Online and use promo code "naples" to save 10%! Learn More. 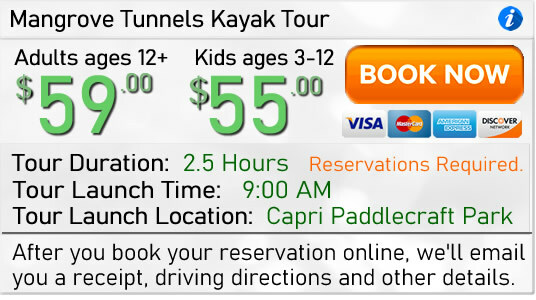 • Capri Paddlecraft Park (Naples): Mangrove tunnels and hidden bays. Great kayak fishing. 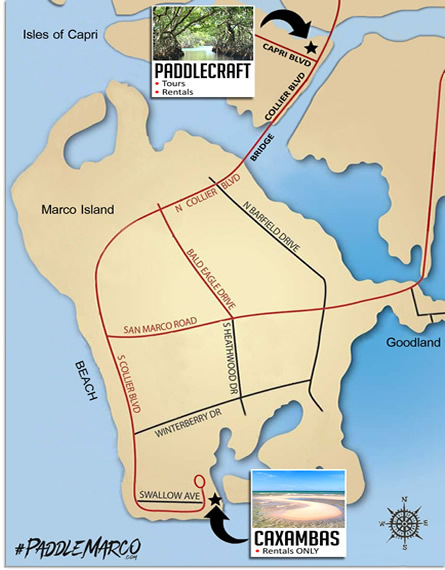 • Caxambas Park (Marco Island): Sand bars and barrier islands. Dolphins, Shelling & Birds. Hours: 7:00 AM - 3:00 PM, Monday-Saturday. Call us anytime to book your kayak tours or rentals - Reservations Required. All of our hourly rentals must be finished by 3:00 PM. Daily and weekly kayak and paddleboard rentals can be kept overnight at homes and condos in Naples and Marco Island.